SEAM’s clearly defined and documented procedures outline the intricate steps we take to ensure unauthorized access to confidential data is prevented. 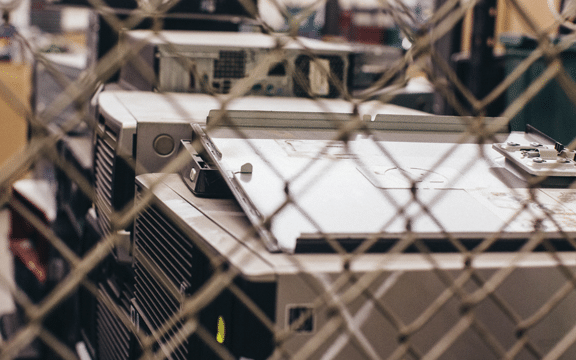 Our process includes written policies and procedures, facility security, personnel checks, audited destruction processes, and proper disposal of destroyed media and equipment. By utilizing SEAM, equipment is handled under one secure roof, limiting equipment transportation and minimizing the potential for a breach. SEAM’s facilities adhere to strict security standards, equipped with 24×7 third-party security monitoring, infrared cameras and electronically secured areas. All data-containing devices are safeguarded in a secure area inside the facility with CCTV coverage both internally and externally until data is destroyed in accordance with NIST SP 800-88r1 standards. Visitors are tracked by way of security check-ins and visitor badges, and are accompanied by a SEAM representative at all times. Employment history and drug screenings are also required for all SEAM employees. Secure and efficient on-site collection, storage and logistics prior to arrival at SEAM include locked security carts and trucks for full accountability. Upon arrival at SEAM, assets are secured and scanned into our proprietary, facility-based tracking system and reports are made available through our online customer portal. 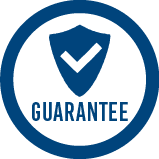 Checkpoints throughout SEAM’s process guarantee equipment is handled securely and complies with the many privacy regulations that exist today. Liability for data continues long after an asset leaves your possession. If a data breach occurs, the organization who originally collected the data is on the hook, not just the vendor responsible for the disposal. By using SEAM, customers are protected with well-established, audited and certified data security and environmental compliance procedures. Detailed tracking and documentation is provided to establish clear chain-of-custody, protecting SEAM customers against data breaches and keeping them in compliance with today’s information destruction laws and regulations. With a streamlined chain-of-custody audit trail, SEAM customers have access to asset-based reporting to ensure they know where their data-containing devices are at all times. Our proprietary tracking system follows equipment through the entire process, from collection to final disposition, providing detailed reports and verified documentation.